OLAMI Resources / Featured Posts / Announcing the 4th and Final Shiur – What’s the Jewish Connection? From the New Series in the NLE Morasha Syllabus Am I Ready To Find My Soul Mate? The most important decision any of us make is who we marry. Yet there are no courses on how to choose a spouse. There’s no graduate department in spouse selection studies. Institutions of higher learning devote more resources to semiotics than love…[S]ociety is busy preparing us for all the decisions that have a marginal effect on human happiness. There are guidance offices to help people in the monumental task of selecting a college. There are business schools offering lavish career placement services. There is a vast media apparatus offering minute advice on how to furnish your home or expand your deck. To get information on private affairs, you have to go down-market to Oprah or Dr. Phil. Why are they the ones who have access to information on meeting life’s vital needs? David Brooks, Columnist for The New York Times, June 10, 2009. In the first shiur in the Am I Ready to Find My Soul Mate series, Discovering Your Infinite Self, we introduced the idea that each person is created with a soul, the essence of the persona. The second class, Gratifying Your Deepest Desires further developed this concept. We learned, the better one understands the soul’s expressions and desires, the more in tune one will be to the idea of building a soul connection with one’s marriage partner. In the third shiur, The Search for Eternal Love, we learned that there are two types of love, one that unites two individuals, intrinsically expanding their consciousness and identity, and a counterfeit love, which may at first feel as if it is achieving these goals, but ultimately will neither expand nor unify the couple. We explored why we all want love, the soul-root of this drive, and how it can flourish within the parameters of a Jewish marriage. 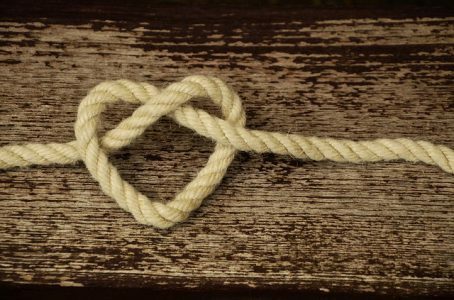 In the fourth and final shiur of this series, What’s the Jewish Connection?, we discuss whether a soul mate must be a fellow Jew or not. We examine how one may best fulfill his life’s purpose and grow as a person, how a couple’s love can be forever increasing, how intense the pleasure of intimate relations can be when based on spiritual principles, and whether all this can be achieved with a non-Jew. How do we define a soul mate? Is there any significant difference between a Jew and a non-Jew? Is my soul mate Jewish? What are the benefits of knowing my soul mate is Jewish? What does marrying Jewish have to do with our sense of self? Click here to download the fourth class on: Am I Ready to Find My Soul Mate IV- What’s the Jewish Connection?